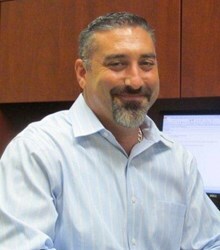 CCHS, one of the country’s leading home warranty and home services companies, announced today that Daniel Dwyer has joined the company as Director of Operations in Anderson, S.C. Dwyer’s responsibilities include overseeing more than 350 employees in customer service, claims authorizations and support services in the company’s customer care center. CCHS has made major investments in new technology and training that advance the overall experience for their customers and employees. As site director I plan to continue these efforts, and take an active role in the Anderson and upstate community. Cross Country Home Services, Inc. (CCHS), one of the country’s leading home warranty and home services companies, announced today that Daniel Dwyer has joined the company as Director of Operations in Anderson, S.C. Dwyer’s responsibilities include overseeing more than 350 employees in customer service, claims authorizations and support services in the company’s customer care center. Dwyer served as a Sergeant in the United States Marine Corps in the first Gulf War. Following his service, he spent two decades working in the customer service industry where he held key managerial roles at MCI, APAC and most recently DataSphere Technologies, Inc. He is experienced leading high performance operations focused on improving efficiencies and employee development to provide exceptional customer satisfaction. Dwyer received his B.A. from Radford University in Radford, Va. and his MBA from Old Dominion University in Norfolk, Va.
Cross Country Home Services, Inc. (CCHS) is dedicated to making home management easy by offering a full selection of hassle-free, cost-effective home solutions, including warranty products and maintenance plans. Since 1978, the company has built a reputation for excellence and today is one of the nation’s leading providers of these products and services. Consumers can buy home warranties and home maintenance plans directly from CCHS or through select affinity partners in mortgage, banking, insurance, real estate and utilities industries. Products include some of the industry’s best known brands, including TotalProtect Home Warranty, Home Protect Warranty and HMS Home Warranty. The company’s customer care staff is available 24 hours a day, 365 days a year and is dedicated to ensuring the highest level of service. Homeowner needs are quickly resolved through a national network of over 40,000 service providers, the largest in the industry. Headquartered in Ft. Lauderdale, Fla., CCHS is a member of the Cross Country Group. To learn more about CCHS, please visit http://www.cchs.com.